Handcycling Japan to help APRICOT help thousands of families in need. 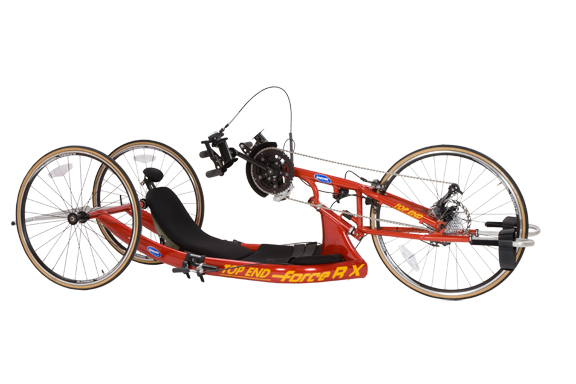 In March 2019 on the anniversary of the great Tsunami, I will begin handcycling the length of Japan (all 3,008 kilometres) to raise funds and awareness for APRICOT. The good people of this small charity are doing all they can to help the thousands of victims across Japan that are still recovering from the countries many natural disasters. By handcycling across the country I will have the opportunity to visit the affected cities and families - telling the story along the way. This will be the hardest, longest and most emotionally challenging feat so far, and I appreciate you following the journey and helping me support them. 100% of all donations go directly to APRICOT, and I genuinely thank you for helping me help them - every Dollar (Yen, Kronor, Peso) counts! The chosen mode of transport that I will take 3,008 kilometres across Japan! APRICOT (Allied Psychotherapy Relief Initiative for the Children of Tohoku) is a nonprofit fund supporting the ongoing efforts of Japan’s mental health professionals working directly in the Tohoku Region to provide counseling relief services for children and their families who have been affected by the triple disasters. Our mission is to raise awareness and funding so these children and their families can receive the long-term mental health care they will need to ensure Tohoku recovers.